The Boring Log form is a configured version of the Depth Form, commonly used for geotechnical information. This form is used to populate a variety of sections in the EDGE EDD, depending on the configuration chosen. 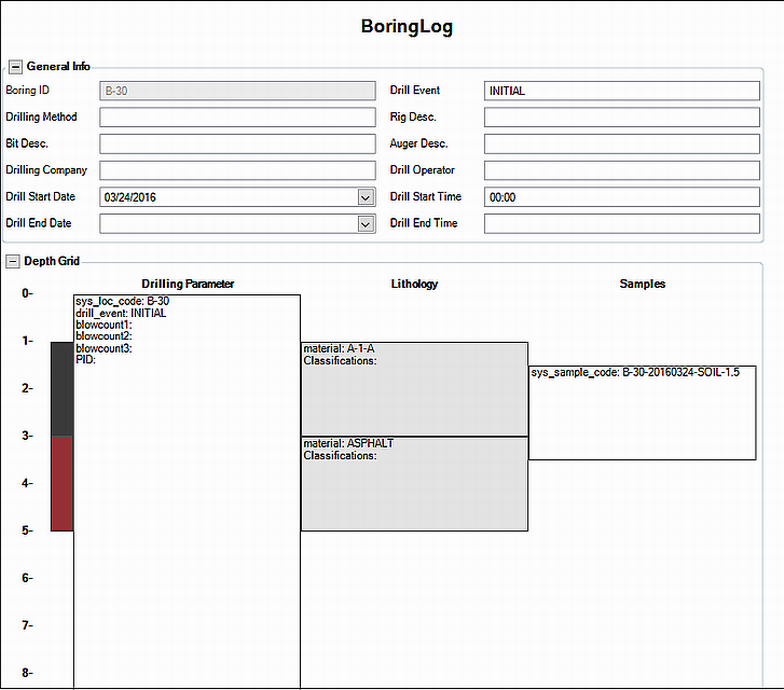 The Boring Log form includes an example layout that may be used. To open this, click Setup > Default Layout. A General Info section of data fields will appear. The depth sections, where columns will be plotted on the form, will appear after a location is selected from the Location Chooser. 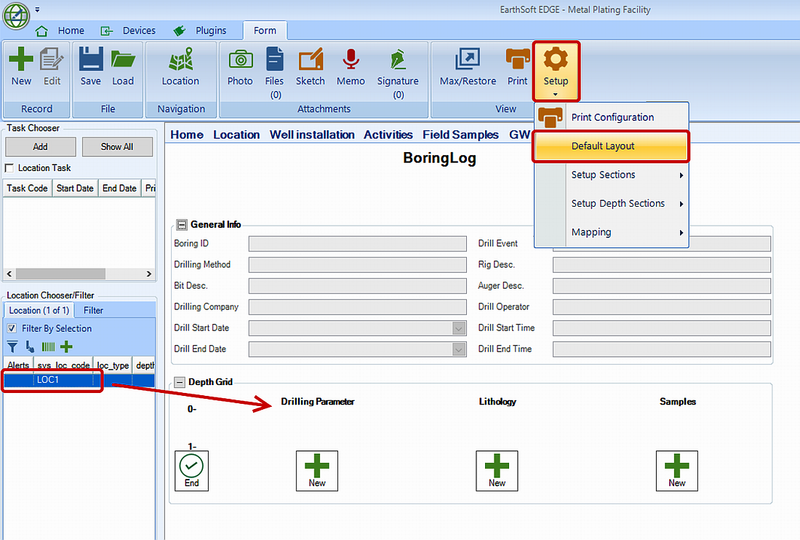 Please see the Depth Form article to configure the Boring log.